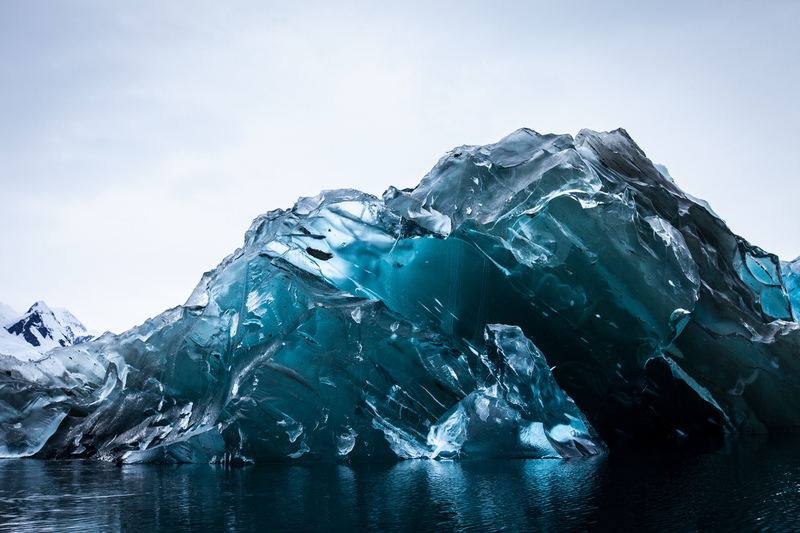 On YouTube, in a video entitled ‘Iceberg flipping over…’ the person who posted it described the phenomenon like this: “… the huge berg lost a part of itself (look at the right side sinking) and then flipped over with a huge roar. …For the ‘Divine Meltdown’ that led to the Flipping Over of my world. It was a scary and painful episode of my life where every false external securities, addictions and attachments I had clung on to and mistaken as my Identity, Worth and Purpose, melted away in a blink of an eye. It was terrifying while it was happening. But all along, it was Grace at work, a blessing in disguise. It marked the moment of my Awakening. For that to happen, my old world-view was turned Upside Down, Inside Out. More than that, it was an answer to my prayer. All year long, no kidding, I’d been praying, “Upgrade me! Mentally, emotionally, spiritually, physically-TOTALLY!” Of course when I prayed that dangerous prayer, I had no idea I was inviting into my life, an extreme internal makeover. What I had in mind, and what the DIVINE had in store for me, were worlds apart. I got more than what I could ever ask, hope or imagine for myself. But again, it was NOT EASY when things went down the way it did. I had not anticipated that a total Upgrade would mean Growth, and lots of Growing Pains. 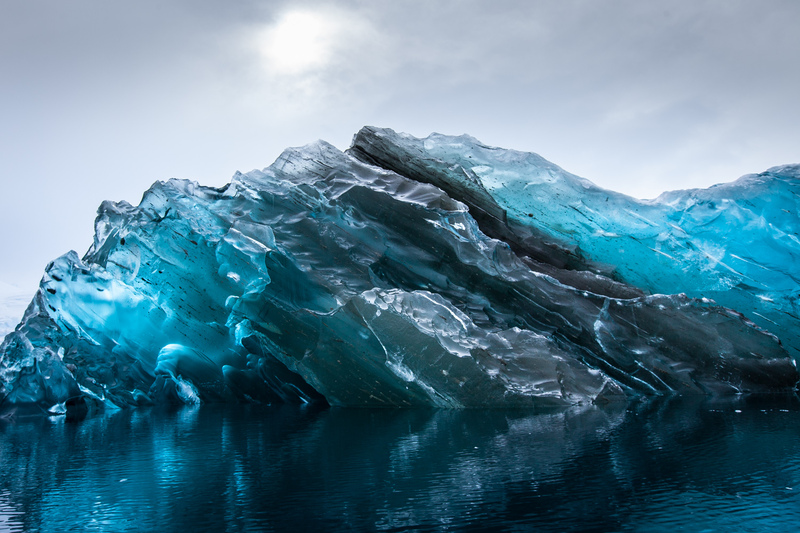 And just like an iceberg in the process of melting, it looked as if I was losing a part of myself and sinking under. When the flipping over happened, I was flipping out, BIG TIME. There was a huge roar of fear. I protested and resisted the massive change that was about to happen. And no matter what I did, there was no turning back. The flip was still happening, ready or not. As I went under, I thought I was dying. As it turns out, it was a rebirth. ALL that had been hidden from the surface of my consciousness all these years, began to reveal itself, and is still revealing itself. What seemed like a ‘Rude Awakening’ is, and continues to be, a Grace-Filled Awakening. Are 90% of us still below the surface, still not Awakened? Are we choosing comfort, over the pain of growing? Security, over the risk of change? Are we resisting a massive ‘flip over’? And flipping out when it happens? During a conversation with a friend the other day, he shared that he’ll rather have a smooth, monotonous existence where life may be boring but at least he’d never have to grow. He prefers it to the jarring pain of growth. I know I can’t live like that. If you’re not growing, you’re ‘dying’. For me, that’s an even greater pain. I hope to keep growing till the day I die. And in this light, for every Flipping Over that has happened, is happening and will continue to happen, I say, bring it on. It’s always scary and painful and frustrating at first. But again and again and again, I am rediscovering that ‘what lies behind us and what lies before us are tiny matters compared to what lies within us.’ — Ralph Waldo Emerson. It takes the flipping over to reveal what’s buried, and hidden within. The past few days have been the brightest and also the darkest. It has brought out the best in me, and also the worst. How little I knew and yet, how much I’ve learned and am still learning. How full of hope and then, how filled with fear. We’re so much better when we’re together. I’m not just talking about the election or us Malaysians uniting together. Tonight I’m just grateful for my family, friends and colleagues at work. They help me see the things I can’t see, about others and about myself–the good, the bad, the ugly and the beautiful. Today, I am once again reminded, I can be a better human being because of You in my life. Tonight and the day after, and the day after, can you see how the person next to you is grateful to have known you? Can you see the difference you have made in their life? And then, can you see who you are grateful to have known? Can you see what a difference he / she / they have made in your life? That SMILE on your face when you see it… well, I can imagine it right now ‘cos it’s on mine too. Let’s sleep with that thought and bring it along in our waking days. I guarantee you, it’ll be worthsmiles. In the past, I would’ve equated this with my gifts, talents, capabilities and abilities. It would’ve been about me and how I could perform. It would’ve been about having the courage to shine and be a star. But all of that gets a little tiring after awhile. There’s a lot of striving attached to it, and that kind of light, wanes after some time. So what does it mean to let my light shine? I am discovering today that it can be something as simple and effortless as having Gratitude–cheering someone else on and letting them know how much you appreciate them for the Joy that they bring. In return, you get to see the light of happiness reflected on their face and smile and laughter. It is also as simple as being a part of someone else’s Dream–and volunteering to be a part of the Team. Last night, I couldn’t sleep, as usual. I was too excited about Life. And maybe the iced coffee at Miss Ellie Tea House had something to do with it. Anyways. At 12-3 in the morning, I was craving for Spaghetti Bolognese. Imagine my surprise when I found out that Y made Spaghetti Bolognese for lunch today! I told her an angel must have whispered in her ear to cook me what I wanted! She laughed and said she had no idea what to cook today, and that the idea just came to her out of the blue. I whooped and wowed and made a really big deal out of this ‘wonderful coincidence’ and it really made her day! Next, I’ve been trying to get Annie to come out to catch up. She mentioned she’ll be busy, and that her hubby and herself would be visiting an orphanage, in preparation for a charity drive, for the orphans. Immediately I wondered how I could be a part of it. Tomorrow, they’ll be picking me up to join them on a visit! This is a big deal to me cos’ I’ve been wanting to visit an orphanage for a long time. Their light sparking off my light and my light adding fuel to their light. Together, we get a bonfire! Let US shine! Tags: dream come true, flying lanterns, gratitude, light, love, shine, the love culture, this little light of mine, topshop, what does it mean to let your light shine? I love the Butterfish Sashimi in Ichiban Boshi, Pavi. You get the best cuts (so smooth it melts like butter in your mouth) and 5, big generous slices you won’t get anywhere else for RM10. When I saw their new pricing of RM11.90, I was surprised. “Oh, we now serve 6 slices instead of 5,” the waitress explained. Okay. Fair enough. When my order arrived however, the serving size shrank by HALF. On top of that, the usually pure white Butterfish had a streak of red vein over one of the slice–gross? Using my wooden chopsticks to remove the bloody remnant, I was disappointed, ready to go elsewhere next time. “Why don’t we speak to the manager?” one of my girls, Alex, suggested. The shrunken size and messy cut was purely a mistake, by a new chef in training–the complimentary sashimi served afterwards was PERFECT. We called the supervisor again and asked for the name of the Head Chef. The attending staffs watched us closely, buzzing with curious whispers. On the way to the cashier, we didn’t see the drop-in box at the counter so I passed it directly to the smiling waiter standing right next to me. “Man. He looks like he’s reading a loveletter!” I observed, as we watched him scanning through my feedback, his grin getting wider by the second. The head cashier, a little worried by his staff’s antic, beamed when we told him we enjoyed the excellent service. “Hope to see you girls again. Next time, I will personally serve you,” he says to my smiling crew. Haha. When was the last time you experienced the Joy of reading a Love Letter? Dear lovers, don’t wait for it! 🙂 Everyday is an opportunity to write one–for others and ourselves. From a heartfelt sorry to a thank you, a happy smile or a note of gratitude–the ways to Love and Be Loved is endless.